I have worked in the Corporate world for around 20 years (God even typing that makes me feel old) and learnt a lot in this time. When I say a lot – I mean 90% nonsense and probably 10% useful stuff. My favorite part of Corporate life was the constant slew of new acronyms, that in theory, were meant to speed up communications/decision making. We have all heard them WIP, FIP, WTF, CBT, SLAM, IFP etc and were baffled by them at the start. However before long – you too were using them in everyday conversation and you had been assimilated. 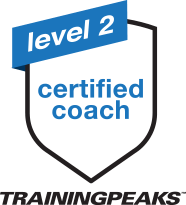 That said there is one acronym that has made the transfer from my Corporate to my coaching life – SMART. This is because I have found it useful in something I am truly passionate about – Triathlon and setting goals/targets for the upcoming season. So when I sit down with my athletes at the start of the season and I ask them what the goals are – I hold them to this model. Me: I like it – lets target that but you need to be more specific – what distance are we aiming for – sprint, Oly, HIM or Ironman? Athlete: Ah yeah good point – you are always so clever coach (ok small ad lib here) – Half Ironman distance – really like that distance …. So yes I want a PB in that…. Me: ok six months out – yes we can go for it! By having a clear set goal – this is what will keep you focused and motivated! Without a clear goal – it is way to easy to give up things get tough training and race wise ! Steven Moody has starred in the corporate rat race but found his greatest source of satisfaction came from his 15 years of endurance racing including numerous Ironman finishes (to date). Realizing this fact, Steven abandoned his cubicle and moved into full time coaching. 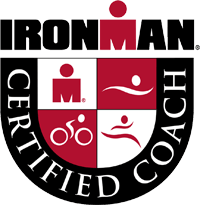 Steven is now Ironman University, Triathlon Ireland and Training Peaks level 2 certified and specializes in helping time crunched athletes realize their goals.